Aston Martin and Zagato have collaborated for years to design and build some achingly gorgeous, double bubble-roofed exotic sports cars. Today is no different. 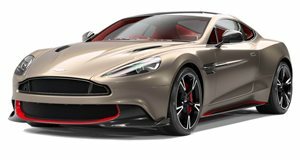 The two companies have just announced, conveniently timed for Pebble Beach, the new Vanquish Zagato family that will consist of 325 cars. Here’s the precise breakdown: 99 Coupes, 99 Volantes, and 99 Shooting Brakes. Yes, a Vanquish Zagato station wagon. Holy hell. Zagato Coupe production is already underway, and the Zagato Volante is next. The Shooting Brake, thanks to its extended (double-bubble, of course) roof that flows into the power tailgate, offers enough space for luggage, which is pretty convenient considering each one will come with a tailored luggage set. Essentially, the Vanquish Zagato Shooting Brake is a V12-powered grand touring station wagon. Pricing wasn’t announced for the Shootig Brake, but . 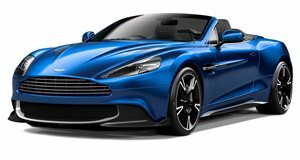 For those buying any one of these 325 Vanquish Zagatos, money is clearly not a factor.